Unable to overcome debilitating fatigue and depression, bestselling author and personal devel-opment expert Ben Angel set out on a 90-day mission to ﬁnd and conquer the root of his rut. When we look at the most successful people, we usually look at their habits—their behaviors, their day-to-day rituals, their dedication. But what about the mind? 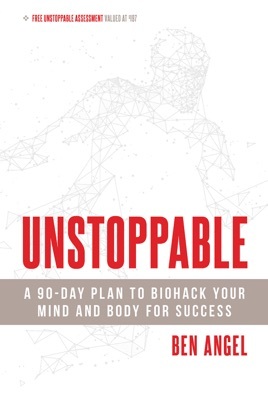 Ben Angel hits this idea head-on in Unstoppable, tackling peak performance with biohacking strategies that will blow your mind. I haven’t fully finished the book but it’s already changing my life! I have taken the advice in this book and I can tell that the way I operate everyday is 100% better. It’s making the way I run my business wayyyy better as well! I recommend to anyone and everyone! 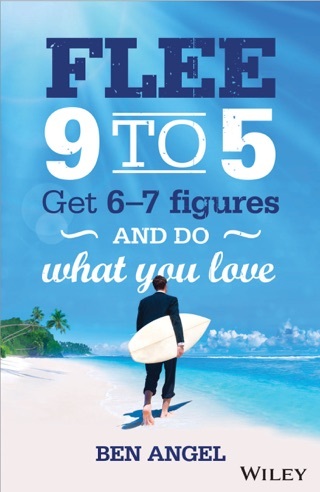 Even if your not a business owner this will change your life!